Introducing the Gibson x Hi Sugarplum Resort Collection! | hi Sugarplum! Introducing the Gibson x Hi Sugarplum Resort Collection! Friends!!! 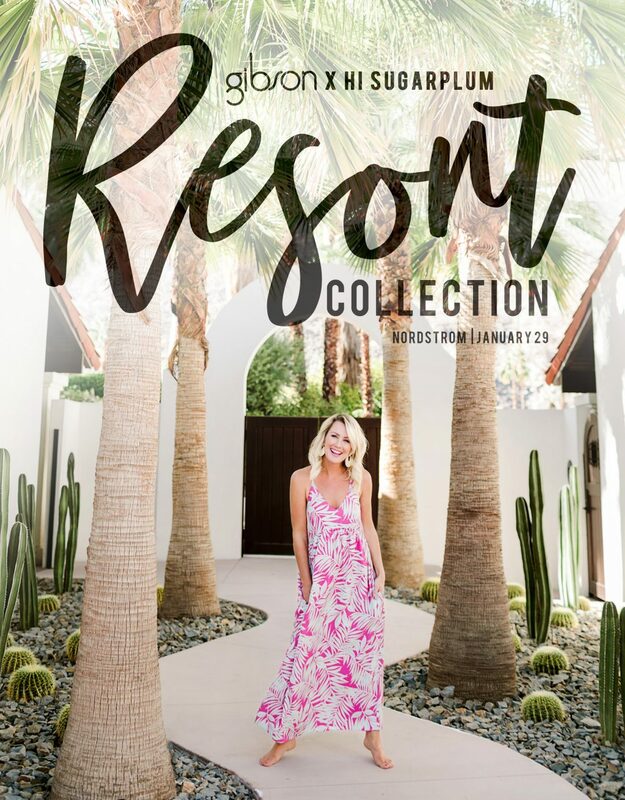 I can hardly believe I’m saying this, but with equal parts excitement and amazement, I’m thrilled to finally announce the Gibson x Hi Sugarplum Resort Collection!! Yes ma’am, I collaborated with the talented team at Gibson for a second line of happy, colorful pieces, available exclusively at Nordstrom January 29!! Never in my wildest dreams did I think something like this would happen once, let alone, twice!! But your enthusiastic support and love for our first Gibson x Hi Sugarplum Collection made it possible, and I can not thank you enough! 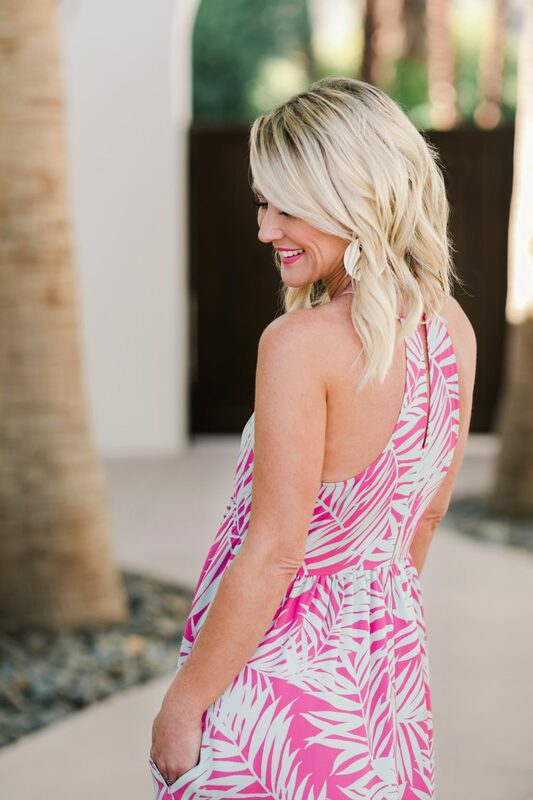 Just like our first collaboration, you know the clothes will be flirty, fun, and affordable. And more important, they’re flattering and comfortable, too! Here’s a little sneak peek of what to expect, and all the scoop of what’s to come! When does the Gibson x Hi Sugarplum Resort Collection launch? January 29…three short weeks away! What exactly does Resort Collection mean? Think breezy fabrics, statement prints, and sunny pieces. Basically, everything you need for a warm-weather getaway! In fact, we designed it as a capsule wardrobe that packs easily, and is versatile enough to mix-and-match for day to night. Just add a swimsuit and hat, and you’re all set! Where will I be able to shop the Collection? You’ll be able to shop the Collection exclusively online at Nordstrom! 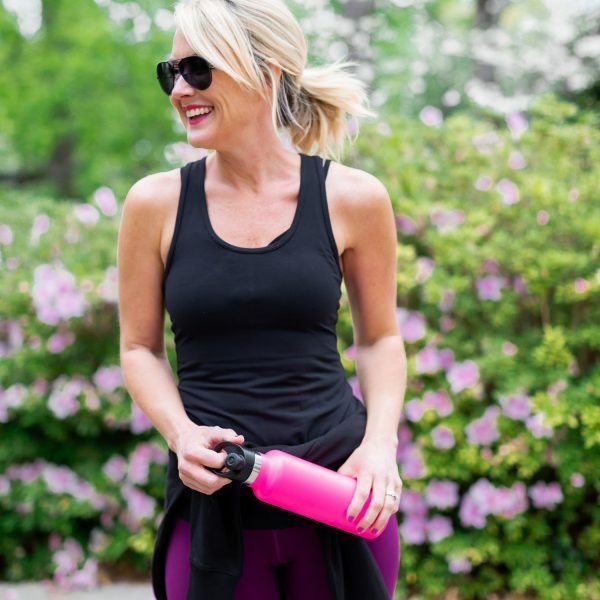 On launch day, I’ll be sharing the full Gibson x Hi Sugarplum Resort Collection here on the blog, along with fit tips and detailed descriptions to help you navigate the pieces, and determine the best size for you. So mark your calendars now for January 29! I’m thrilled to announce this new Resort Collection will be size inclusive! Every piece will be available in a range of sizes from XXS Petite to 3X. We are passionate about all women being able to wear the Gibson x Hi Sugarplum Resort Collection, so a range of sizing was extremely important to us. We paid special attention to the individual cut and fit for the petite, plus, and regular sizes. Thanks to our partnership with Nordstrom, we’ll be shipping internationally! And United States friends will receive free shipping and returns! 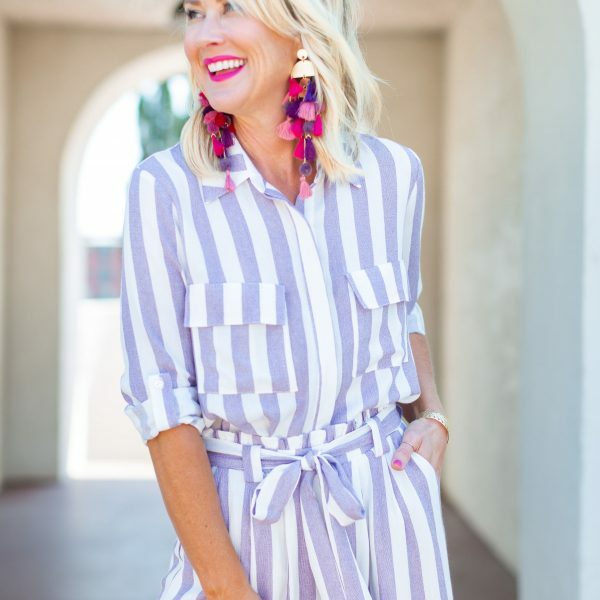 You know budget-friendly pieces are my jam, so the majority of the Collection is under $50, and nothing is over $80! 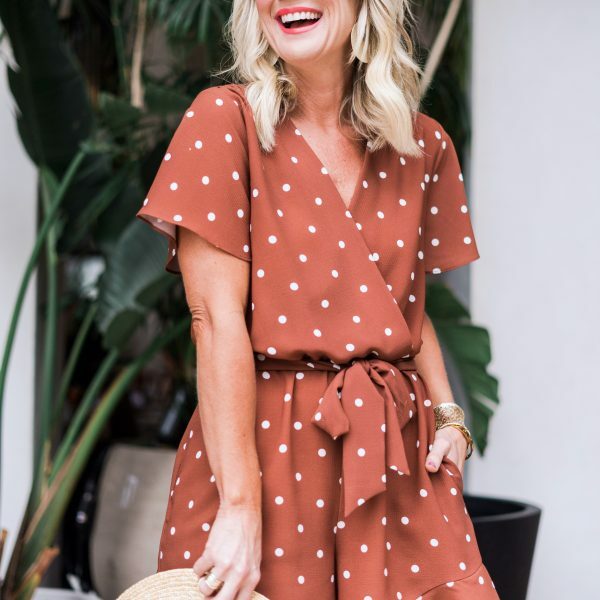 The quality is incredible, and we created pieces that are not only fun, but classic and timeless, so you’ll be adding new wardrobe staples with your Gibson x Hi Sugarplum Resort pieces. What type of pieces are included? 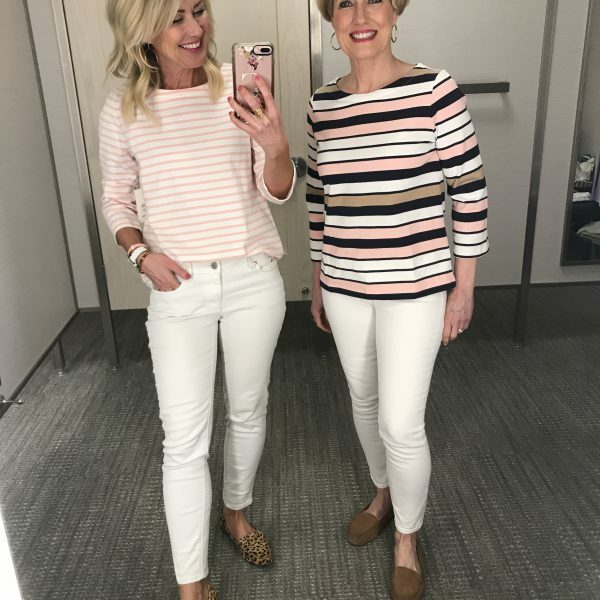 Without giving too much away, it is a true capsule wardrobe of virtually everything you need for a warm weather getaway (or Summer at home)! Whether it’s a quick weekend or longer vacation, the Resort Collection is all you need to pack! Did you design the clothes? After the success of our first Gibson x Hi Sugarplum Collection, I had the confidence to get even more involved in the design process. The extremely talented design and fit team behind the Gibson line listened to all my ideas, and created a collection that is 100% me! Months of brainstorming, sketching, data-gathering, and fabric selection brought us to the final selection…and I was lucky enough to be involved every step of the way. I had a hand in colors, patterns, fit, type of pieces, and details. And while I don’t have any official design experience, I do know what I like, and how I want to look and feel in clothes. Gibson took those thoughts and feelings, and turned them into a perfectly ‘Sugarplum’ Collection! I know the only reason I have this opportunity is because of YOU, dear friends! Your support and enthusiasm over the years is what led me to this, and I’m forever grateful to you all. I’ll be revealing more glimpses of the pieces and behind-the-scenes in the coming weeks, and am positively bursting with excitement for you to see it! Hurry up, January 29!! To make sure you don’t miss any of the news and updates, subscribe to my emails! (No spam, I promise!) 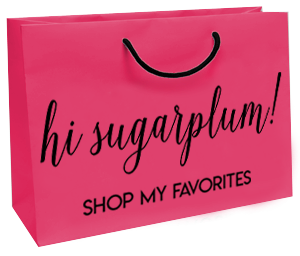 In fact, I’m kicking off this party by giving one lucky Hi Sugarplum subscriber a $500 Nordstrom gift card! Simply subscribe here, and I’ll choose a random winner Friday (current subscribers automatically entered). Also be sure and follow along on Instagram and Facebook for more sneak peeks. So much fun ahead, lovebugs!! Yayyyyy!!! I could not be more thrilled!!! I loved the last collection and can’t wait for this one! I am so excited. I loved your last line and also the holiday peices in Gibson Glam. Your new line launches on my birthday !!!! Guess that means I’ll be buying myself a birthday present. Cassie!!!! This is HUGE!! I cannot wait to see the whole collection!!! I guessed this right! It was not too hard with the palm trees in the teaser photos. Hope they will have a jacket. Have always felt the safari and Jean jackets were the strongest of your outfit suggestions for me. I didn’t think it was possible, but I bet I’m gonna love this collection even more than the first! So so proud of you dear friend! Love you, Megan!!! I can’t wait to see it on your darling, petite frame!! So happy for you, Cassie!! Can’t wait to see the full collection. Congratulations, Cassie!!! I can’t wait to check it out! Congratulations! I loved your last collection and CAN’T WAIT to see this one! You are so deserving! Keep up the great work- you are so inspiring!! Thank you so so much, Amy!! I can’t wait for Jan 29!! Oh boy I can’t wait! 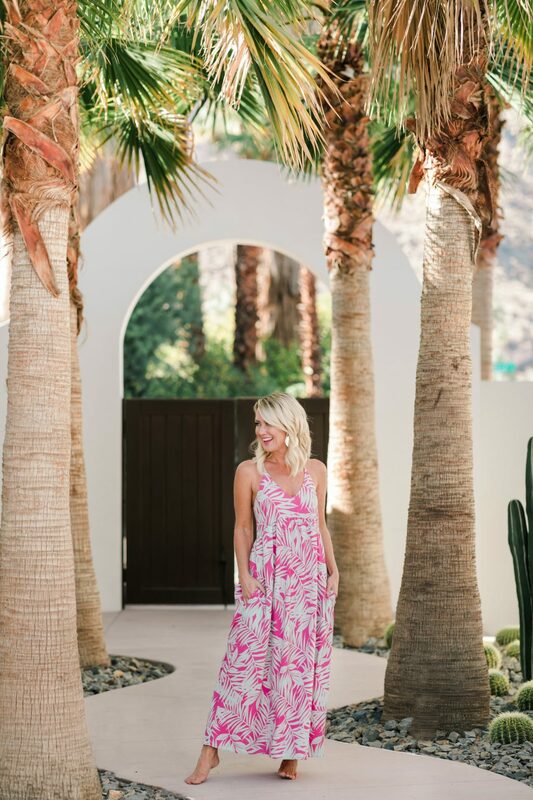 Love this pink maxi dress–you are gorgeous in it! I’ve already planned a trip to visit friends in Scottsdale so I’ll be modeling your resort collection! Suitcase is open, now all I need is January 29. Congratulations beautiful you! Oh yes, Scottsdale is perfect for these pieces!!! Thank you so much, Sevahn! So exciting!! Congrats! Can’t wait to see all the pieces! WoW! Gorgeous location & cannot wait to see the rest! Luv how u matched your lipstick to the dress. So very Cassie. Nordstrom=Nice! That’s all Suzie Moldovan!! she’s an amazing makeup artist and knows I love a good, pink lip!! So exciting…can’t wait to check out the collection! Darn, I’ll already be in Mexico that week so I’ll have to shop for a future trip! Good luck! I cannot wait!! I am going to Palm Springs, CA for the first time in February, so this will make packing SO much easier!!! I shot the entire collection in Palm Springs!! I loved it! Oh my gosh!! So excited 😆! Congratulations! Can’t wait to see the collection! Perfect timing too as we are heading for one month in Argentina (it’s their summer). Loved the pieces I purchased from the last collection. Can’t wait to add more Sugarplum to my style! Thank you so much!! Argentina for a month…that sounds amazing!! So excited for you!! I already LOVE this maxi, and I can’t wait to see more! Congratulations on your collaboration! Thank you!! 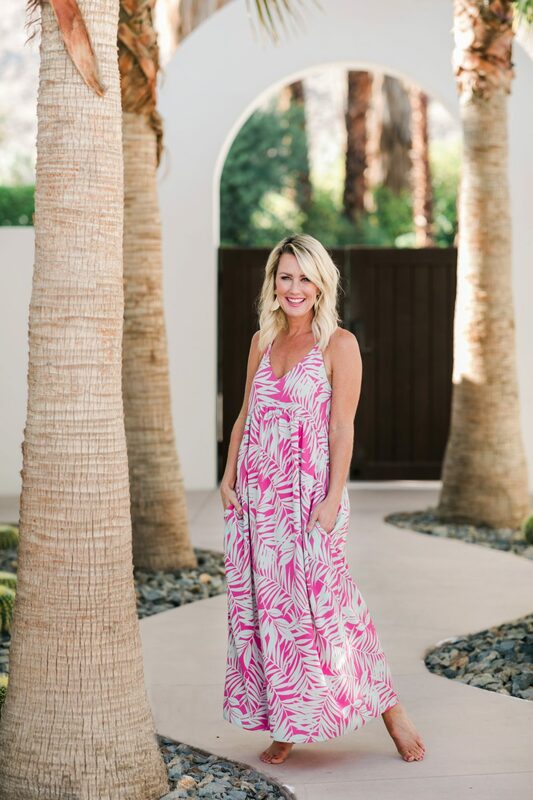 This maxi comes in other patterns, too…one of which might be my fave print ever!!! yay!! I am too! Gibson is amazing at fitting all sizes! Many brands just scale up or down, but Gibson uses actual fit models to get everything just right! EEEEKK this is PERFECT!! I’ve got a trip to Mexico planned for March, so the timing for this couldn’t be better!! 😀 Can’t wait!! yay!! It will be perfect!! You can literally pack just these pieces and have your entire vacation wardrobe in a small carry-on! So excited!!!!! Congrats to once again out doing yourself!! Hurry up January 29th!! This is so exciting! I love the Gibson line and can’t wait to see it! And I am thrilled that it will carry petite sizes. Being 5′ nothing I really appreciate that! YAY!!! I am new to your blog and I must say I love it! Thanks so much, Susan! Gibson has been fitting petite and plus for over a decade! They use actual fit models to get everything exactly right! I love that dress already! Can’t wait to see the rest! This is going to be good! That’s awesome for you! Congratulations! I can’t wait to see the new collection. Congrats to your exciting Hi Sugarplum line. All the Best! I AM SOOOOO EXCITED!!!! Like I may or may not be planning a vacation just to wear all of this goodness! So proud of you sweet friend! LOVE the dress! Can’t wait to see more. I know it’s going to be gorgeous and a huge success! I am so excited! I have a Spring Break cruise to Mexico & Belize to pack for! I know these pieces will be perfect! YES!!! That sounds like an amazing trip!!! Could not be more proud or excited for you Momma! Congratulations! Oh my goodness this is so exciting! Congratulations on your second line! Love the pieces and colors and can’t wait for the launch! Congratulations Cassie! If this line is anything like your last, it’s going to be an instant hit! Thank you so much, Shannon!! I’m so excited about this one…obsessed might be a better word! Congratulations my love! So proud to see your hard work paying off in big and fabulous ways! Can’t wait although I DO NEED them this weekend. Cruising and just couldn’t find what I wanted this year so nothing new in my wardrobe. I’m beyond excited to share this collection!!! Cassie the New Year is proving to be all about the best evers. I’m so happy for you and I know that the Sugarplum and especially Mums Sugarplum is as elated to see her daughter shining. Rooting for ya from Louisiana. Congratulations! Can’t wait to see this collection! 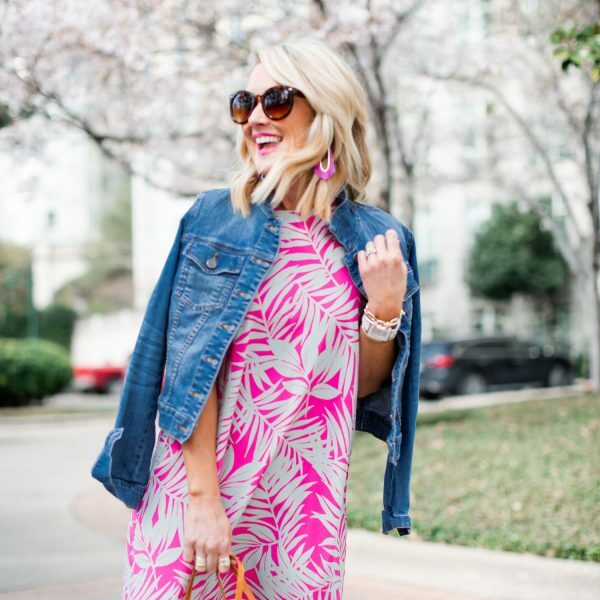 The dress you’re wearing in this post is beautiful! Congratulations.. I have been working on a capsule wardrobe to make life easier and less packing too..Looking forward to seeing the collection..Cassie, I am really enjoying your blog.Thank you. I am so excited to see you working on another collaboration with them and this time a size inclusive one! I love your eye for color and style. Congratulations!!! Congrats Cassie. This dress is beautiful, can’t wait to see the rest of the collection! Oh my gosh, yes!! Perfect for a cruise!!! As a plus-size girl, I usually stare longingly at these special collections while others get to have all the fun. I can’t tell you how exciting it is that I will be able to wear some of your beautiful pieces! Congrats! Congratulations! This is so exciting and I am so thrilled for you! Congrats!! 🍾 So thrilled for you! And me! Been following your blog & insta for years, shop Nordy & I’m 2X 🙌🏻! I KNEW IT! screaming excitedly… The first piece you’ve shown us reminds me of Tommy Bahama. Will it come in other colorways? Can’t wait for the full reveal and photo shoot. yay!! thanks so much for your excitement!! yes, the maxi comes in other color ways!! I love each color and pattern more than the next…so hard to choose!! Can’t wait! I am taking a trip to the Caribbean in February and am excited to add some of your pieces to my suitcase!!! Going on my first cruise the end of Feb and I am thinking that dress will be perfect! Excited for the collection!! Congratulations Cassie! This is so exciting, I can’t wait to see the collection! We are leaving for Hawaii in March and I am so curious about the capsule wardobe aspect of this collection! We only travel with carry-ons and I always put so much time and effort in planning what to bring…looks like you are taking the guess work out for me! Can’t wait for the 29th! Yay…Hawaii will be amazing!!! I’m working on a packing post for the collection too, so hopefully that’s helpful! I can’t wait to see it all! How exciting! Can’t wait to see it and shop for vacation! Congrats!!! This dress is fabulous!!!! I definitely need it in my life. Can’t wait to see the whole line, I know it’s going to be great. Yay!! So excited and a HUGE congrats!!! So exciting!! Congrats!! Love following you! I cannot wait for the collection to launch! I know it is going to be beautiful! Congratulations! We are blessed to be taking a trip to Hawaii this year. I’m thinking that a few of these pieces will be a requirement:). Can’t wait to see them! LOVE the dress!! Headed to Palm Desert in feb. Is the dress strapless bra friendly? Yes!! My mom wore her strapless with it! This is silly but is it midnight on Jan 29? Any certain time zone? I’ll give all the details next monday, but I’ll have it live around 7am CST! If it’s live earlier, email subscribers will see it first! So exciting!!!! I love summer! Headed to Hawaii to see my daughter and grandchildren in March and I need that pink dress!!! Congratulations!